TPB Back Issue Classics Episode 50 is here! Mike and A Das Baron return to Eternia and the Eternity War from DC Comics!... This dynamic duo go through issues 3 and 4 of the latest He-Man comic series and spoil everything! We talk about just how disjointed the issues seem to be, with no mention of He-Man at all in issue 3, and then we praise the art and development in the She-Ra part of the story, and so much more! 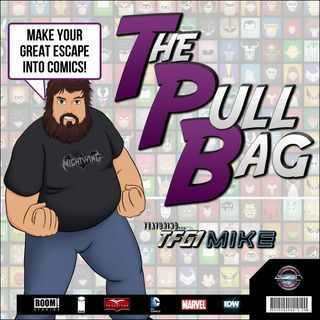 So grab some pizza, and listen in as we continue the Masterful He-Man and ... See More She-Ra Talk here inside The Pull Bag!